Save the date!! 3 months 3 weeks ago. Join Musikanten, Carroll College Choirs and St Helena Cathedral Choir Sunday, December 9, 4 PM at the Cathedral for Lessons & Carols. THIS SUNDAY! We look forward to sharing our Advent music with you, a peaceful respite during this busy time of year. 4 months 1 week ago. Hi friends! I know you are doing a Giving Tuesday campaign, but I don't see a link on your page... Could you please add a post with the link and info? 4 months 3 weeks ago. Thanks, Donna, for the beautiful memorial candles at our All Souls concerts last week! ❤️ 5 months 2 weeks ago. Robert Evett (1922-1975) was a highly esteemed American composer who was a major contributor to the cultural life of Washington, DC. Evett composed in many genres, including orchestral and chamber music. His devout and personal choral pieces for the Catholic liturgy are undiscovered gems that deserve a wide hearing, not just on Sundays. The works on this disc, some a cappella, some with organ accompaniment, span music for Christmas and Lent, as well as the daily offices of Prime, Vespers and Compline. Masterfully sung by the 19 voices of Musikanten, the oldest choral chamber ensemble in the nation's capital, the music is given sublime interpretations in the warm environment of the Bradley Hills Presbyterian Church, Bethesda, MD. 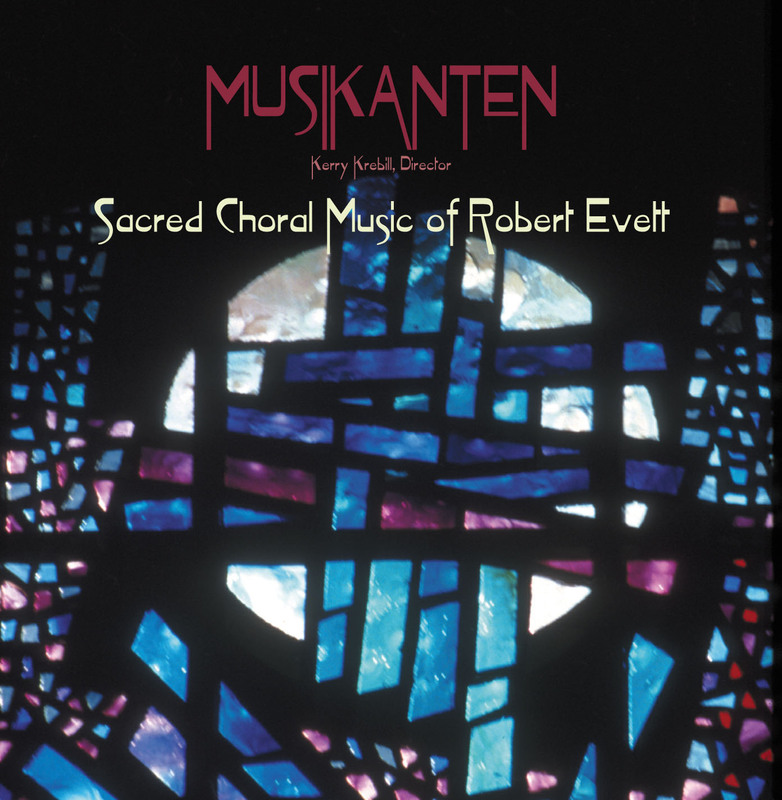 Conductor and founder of the group, Kerry Krebill, directs the expressive and precise performances that led Musikanten's previous CD to be nominated Choral CD of the Year by Chorus! Magazine.